This book offers general readers a personal tour of the intricate workings of language. 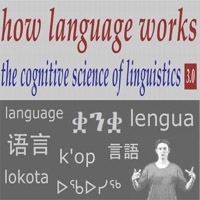 It moves effortlessly from big subjects like the origins of languages, how children learn to speak, and how conversation works to subtle but revealing points such as how email differs from both speech and writing in important ways, how language reveals a person's social status, and how we decide whether a word is rude or polite. Because human language is an enormously complex subject, the book will focus on a narrow range of topics and themes; there will be no pretense of covering the field in anything like a complete fashion.